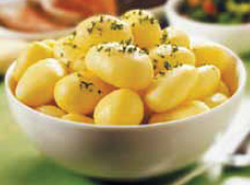 Magistral is a medium early maturing variety, with a very high yield of attractive tubers. 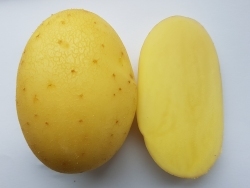 Uniform oval shape with a brilliant light yellow skin colour. The tubers are robust and regular sorted. Because of early tuber setting and good drought resistance very suitable for Mediterranean countries, both for local market and for export. Plant type : fast growing, medium height foliage with an average stem number and flat leaves.